HomeVenueWhat is the Proper Venue for a Utah Criminal Case? Venue for a Utah Criminal Case is Proper in the County Where the Crime was Committed. How do prosecutors in Utah decide where to file a criminal case, that is, how do they decide what is the proper venue for a case? Before a prosecutor can file a case he must determine what is the proper venue. Fortunately, the Utah Legislature has made the process pretty simple. “Criminal actions shall be tried in the county, district, or precinct where the offense is alleged to have been committed.” Utah Code 76-1-202(1). Although the statute refers to “county, district, and precinct” it is the county in which the crime was committed that nearly always determines the venue. Similarly, in State v. Pedersen, 227 P.3d 1264, 1269 (UT App. 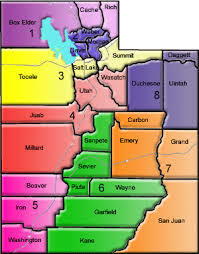 2010), the Utah Court of Appeals addressed a case that involved a defendant who had committed crimes in both Wasatch and Salt Lake counties and ruled that the crimes committed in Salt Lake County could only be prosecuted in the Third District Court in Salt Lake. The court went on to agree with the Defendant that the Salt Lake crime that was tried in Wasatch County was improper and had to be tried in Salt Lake County under Utah’s venue statute. Venue is rarely an issue that arises because most crimes are clearly committed in a single county. Nonetheless, there are cases that involve a continuing criminal episode over more than one county and other unique circumstances that may raise the question of where is the proper venue. Section 76-1-202 provides for many of those unique circumstances. For example, if a crime is committed by a defendant in one county upon someone who resides in another county (think internet crimes), the charges can be brought in either the county where the defendant committed the crime or the county where the victim resides.